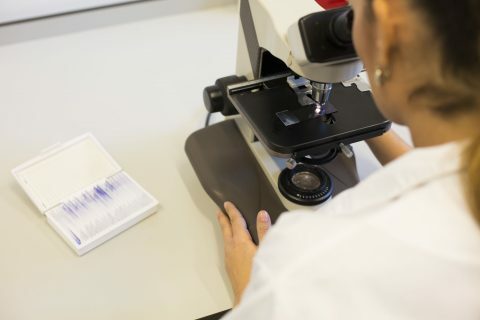 The latest WHO/ECDC report Tuberculosis surveillance and monitoring in Europe 2019 (2017 data) shows that despite an overall decline in numbers of people suffering from TB, the disease remains a major public health challenge in the Region. Of the 275,000 new diagnoses and relapses, an estimated 77,000 people are suffering from difficult-to-treat multidrug-resistant TB (MDR-TB). The European Union and European Economic Area (EU/EEA) countries fare better, with only 1,041 people reported to have MDR-TB. However, most countries in the Region, including many in the EU/EEA, struggle to treat patients successfully. “TB is preventable and curable; the time to take action is now to end TB by 2030. If we don’t act rapidly and decisively, the drug-resistant forms of the disease will increase their hold on Europe. Despite the challenges and threats that we face, I believe that Europe has the full potential to lead the way. We have science and technology, skilled health professionals and high level political commitment to leaving no-one behind – we have got what it takes to end TB.” said Dr Zsuzsanna Jakab, WHO Regional Director for Europe. KNCV Tuberculosis Foundation has recently proven the effect of new drugs and shorter regimen to fight MDR- and XDR-TB in Kyrgyzstan. The USAID funded, KNCV led Challenge TB project implemented these and the first results are impressive. 79 percent of MDR-TB patients were successfully cured. Very good results were also achieved for XDR-TB. More about these results can be read in this article. Proper and fast diagnosis of TB is also essential. The sooner a patient is diagnosed, the faster their treatment can begin, easing suffering and preventing further disease transmission. The new report indicates that just over half of all newly notified TB patients were tested using WHO-recommended rapid diagnostic tests. To improve diagnoses and ensure appropriate treatment approaches, it is also important to have capacity at country level to rapidly detect drug-resistant TB.